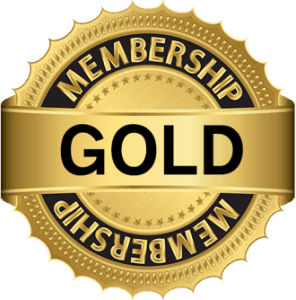 Membership Details: *Effective November 1st, 2018. Terms, conditions & pricing subject to change. Getting Skin Care Services on a regular basis is one of the healthiest things you can do for yourself. At Beautiful Skin by Carmen, we have made it easy and affordable. The month-to-month skin care program gives you the flexibility to continue for as many months as you wish without any long-term commitments. 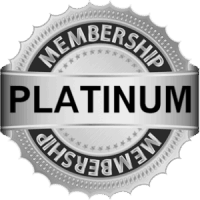 Each month you’ll receive your choice of one of our amazing Gold or Platinum Membership Service. Additionally, you will get 10% discount on products and 10% off Advanced Facial Services. See next page for details. If you get busy and can’t make time for your service, you can rollover the unused service to the following month. Your rollovers do not expire. Memberships are non-refundable and non-transferable. Receive 10% off skin care products upon signing up and on future product purchases. Members can apply their monthly membership credit to upgrade to any regular priced service. **Receive 10% Off as Exclusive Membership Pricing on Advanced facial Treatments. Receive 10% off on products upon signing up and on future product purchases. Members can apply their monthly membership credit to upgrade to a regular priced service. ** Receive 10% Off as Exclusive Membership Pricing. $149 includes micro-dermabrasion, micro-current and infusions of products to encourage collagen/Elastin production. Aqua Facial= Exfoliating, hydrating & infusing Facial. $159 Single Treatment *Not available at the Zen location. All appointment cancellations will require a 24-hour cancellation notice. *If you fail to call and cancel your appointment 24 hours before the date of your booked appointment, or you have a “no show”, your credit card on file will be charged a $50 fee. Your monthly payments will be charged 30 days from your enrollment date, with charges billed on the same date each month. *There’s a one-time, non-refundable sign-up fee of $29 due at signing. ALL MEMBERS ARE REQUIRED TO NOTIFY US IMMEDIATELY OF ANY CHANGES TO THE CREDIT CARD LINKED TO THEIR MONTHLY AUTOMATIC DEBIT IN ORDER TO MAINTAIN THEIR MEMBERSHIP PRICING CURRENT AND UP TO DATE. FAILURE TO UPDATE YOUR INFO THIS WILL RESULT IN SUSPENSION OF MEMBERSHIP PRICING PRIVILEGES AND SERVICING UNTIL AUTOMATIC PAYMENTS ARE RESTORED. Products can be exchanged for a new product(s) or spa credit only. No money will be refunded on services. This Agreement shall be construed, performed and enforced in accordance with the laws of the State of Florida. Any dispute, claim or controversy arising out of this Agreement or the breech, termination, enforcement, interpretation or validity thereof, including determination of the scope or applicability of this agreement to arbitrate, shall be determined by arbitration in Orange County before one arbitrator. Call or book yourself on line 24/7 www.beautifulskinbycarmen.com to set-up your first membership today 407-739-1617 and start saving and taking care of you!